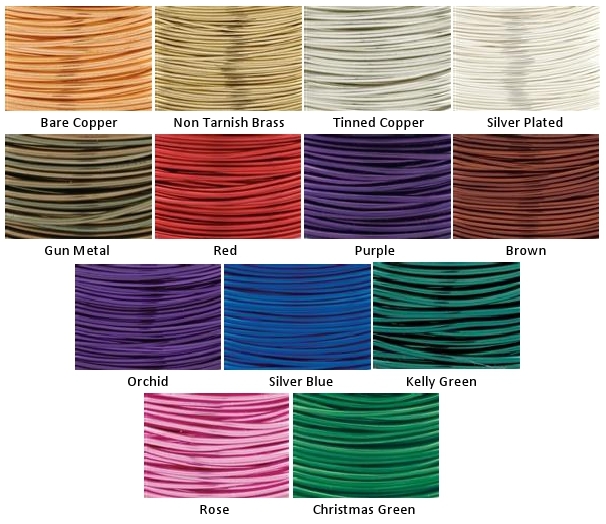 Artistic wire is available in a large selection of colors and gauges. Artistic wire can be shaped and braided into elaborate designs. The only limit in working with color wire is your imagination! Silver Blue, Rose, Christmas Green, and Kelly Green.